"Your brother here was dead and has come to life." 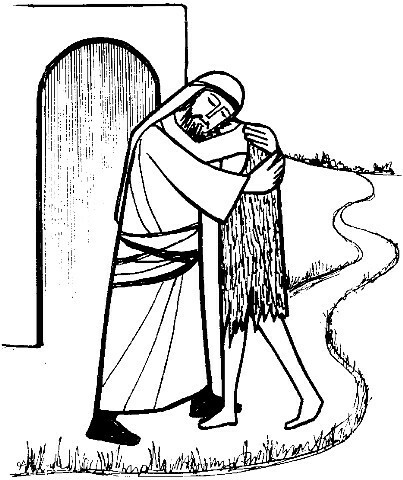 As today we hear the familiar para­ble of the Prodigal Son (or the Forgiving Father), the message is Reconciliation - the making new of relationships, the healing of past wrongs and the opening of ourselves to the "new creation". This is just as the Is­raelites opened themselves to the New Cre­ation of the Promised Land, when under Joshua they ended their sojourn in the wilderness after forty years of hardship, and began to eat of the produce of the country. It is all God's work: it is God who calls us back, and God who welcomes us into the Promised Land of his mercy when we re­turn. So today, let us think not so much of sin and offences, as the new creation God offers us, if we but turn back to him and embrace him as our Father. 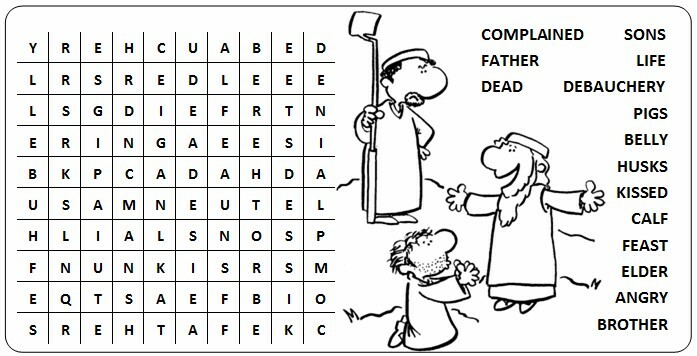 First <?xml:namespace prefix = st1 />Reading: Joshua 5:9-12. This is significant as the account of the first celebration of Passover in the new Promised Land. It is an important mile-stone in their history, not just be­cause it relates the greatest feast of Is­rael, but because on this occasion it marks a transition, from wandering in the wilderness, being fed on the manna, to becoming a settled people in a land of their own, eating the produce of that country . It's only a short reading, so you dont have to rush: try and "get into the mind" of the writer, and understand how important this event was for <?xml:namespace prefix = st1 ns = "urn:schemas-microsoft-com:office:smarttags" />Israel. Allow that sense of importance to dic­tate how you will proclaim these few words - slowly and with an air of hand­ing on a treasured and precious story from our past. Remember to underline the key words, such as "kept the Passover", "the produce of that country" and 'from that year onwards." Second Reading: 2 Corinthians 5:17-21. This is one of those "opposites" readings that Saint Paul is so fond of ­where two ideas are set up against each other, which he then "plays with" and elaborates. Here his "opposites" are new creation - old creation, sin - good­ness, faults - reconciliation, and the turning point to each of them is Christ. Whenever you have a reading like this, make sure you understand what he is saying. This might take some time and effort! Here Paul is trying to describe the New Creation: it is some­thing God has done (in Jesus Christ), by means of reconciliation, which washes away faults. Paul, and all Christians, are ambassadors who announce this New Creation to all. Notice especially the beautiful balance of the last statement. Take your time, and do your best to let others understand what you, the reader understand in this reading.